Arsenal fans took to social media to absolutely berate Mesut Ozil for his performance in his side’s 1-1 draw with Brightin at the AMEX Stadium this evening. Unai Emery’s side dropped even more points on Saturday evening, as they only managed to draw 1-1 with Brighton, a result that will disappoint fans seeing as the Gunners were 1-0 up in the tie. A goal from Pierre-Emerick Aubameyang gave the north London side the perfect start, however a strike from Jurgen Locadia saw the home side level the scores. The result now means that Arsenal have dropped five points from their last three league games, something that has seen them lose ground in the race for the top four. 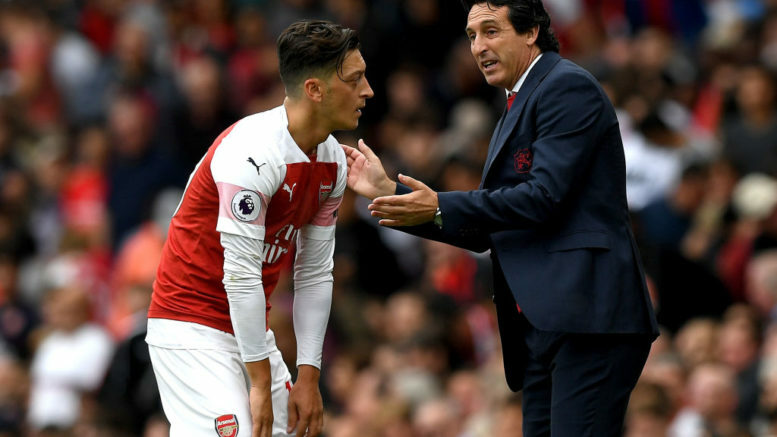 Ozil failed to provide any significant threat to the Seagulls’ defence in the match, with Emery eventually deciding to take the former Real Madrid man off at half time. The German’s display didn’t go unnoticed, as during and after the match, a vast array of fans took to Twitter to slate the midfielder for his performance. You can check out a few select tweets regarding this below. Thoughts on their goal: Lichtsteiner has to go for that ball. Guendouzi and Ozil’s tracking is dreadful. Be the first to comment on "“Terrible”, “Absolutely useless” – Arsenal fans slaughter superstar midfielder for “ridiculous” performance as Gunners play 1-1 Brighton draw"